The marketplace for convertible cars continues a wave of change in 2018. We have mentioned this before and the trend continues apace. The number of affordable convertibles are dropping drastically, premium brand convertibles are holding steady and those from exotic and luxury labels are increasing. While a few years ago Ford, GM, Volkswagen and Toyota offered a selection of budget-friendly drop-tops, buyers looking for a car that is that little bit special now require a brand name to go with it. The days of a convertible version of your average sedan or hatchback have probably gone. Bucking the trend are the Mini, VW Beetle and Fiat 500 but each of these cars are designed with a strong personality and of course, the convertible versions of these cars make up a small proportion of overall sales. Mazda won the affordable Roadster war years ago and continue to sell plenty of MX-5 Miata’s without any competitors to speak of. If you want a premium two-seater, however, then there is a whole host of options. We will still see new 2018 convertible cars though and this shift in the market isn’t all bad. There are certainly many convertibles still being made, but production numbers are smaller and prices higher. The cars we do get though, are more exciting than ever. Just look at the fabulous new Ferrari Portofino or the beautiful Aston Martin DB11 Volante. A touch too expensive? 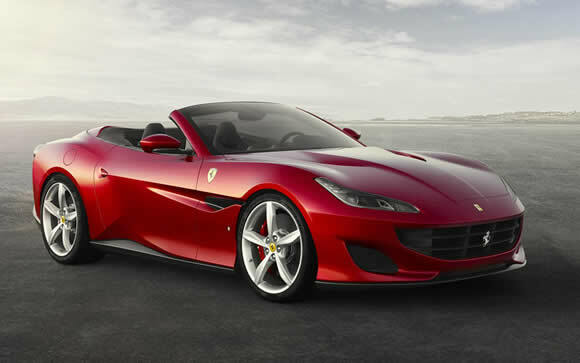 The upcoming replacement for BMW Z4 Roadster should be a little more attainable! No, the Alfa Romeo 4C isn’t new but this year sees a thorough update to the lightweight Italian sports car. The 4C is now five years old but this carbon-fibre based beauty still looks fresh. Alfa are returning to Formula 1 racing so want their halo sportswear to be the best it possibly can. The refresh promises steering and suspension improvements which should tame road-holding and steering feedback on less than perfect road surfaces. Aston Martin’s latest Grand Touring car had to have a convertible option and this arrives in 2018. It is perhaps even better looking the coupe. The styling flowing better and avoiding the rather awkward contrasting roof pillars. Despite having a thick, well-insulated roof, this disappears neatly behind the rear seats without taking up too much luggage space. There is room for 20% more cargo than the DB9 too. 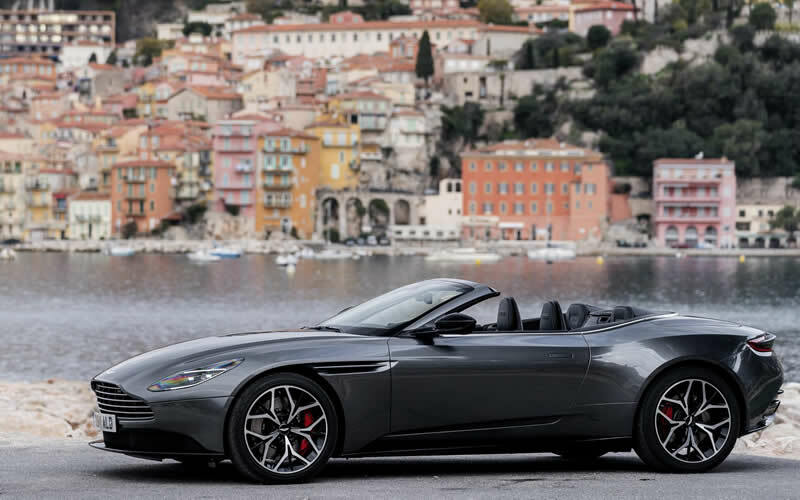 At least for now, the DB11 Volante will only come equipped with the V8 engine. That isn’t a problem though, the Mercedes-AMG bi-turbo power unit is a peach. The latest super-GT in the Aston Martin range is to be revealed this year and holds the legendary Superleggera name from the Italian coachbuilder Touring who created bodywork for the iconic DB5. The car that has been teased is clearly a coupe but it would be rare for Aston not to offer a drop-top version. True to form, a development convertible with disguised details has been spotted undergoing tests. Expect it to be based on the DB11 but more aggressive and powerful. 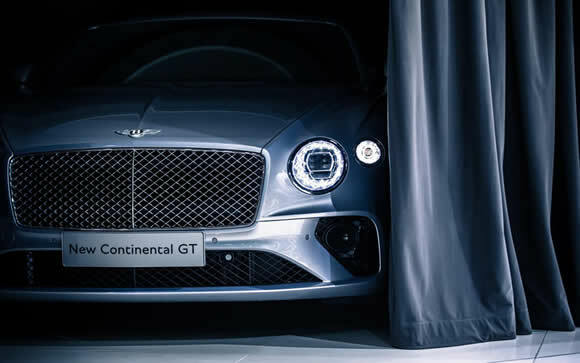 The new Bentley Continental GT Convertible (previously the GTC) is in its final stages of development. Like the coupe it is a big British luxury Grand Touring car but compared to Aston Martin DB11 it is bigger, heavier and even more refined yet less agile and sporting. A clever suspension design makes the big Bentley feel more supple than you would expect while all-wheel-drive means it is safe and easy to drive in all weathers. It should make an entrance at a motor show in 2018 and go on sale in early 2019. The New BMW Z4 Roadster has been under development for a while and while we know that it will share a platform with the upcoming Toyota Supra, we don’t yet know how similar these cars will be. What we do know is that BMW are sharing the knowledge gained in manufacturing the lightweight i3 and i8 chassis using carbon-fibre and aluminium. The new Z4 Roadster is expected to be lighter and more agile than before and if the concept cars that have been shown are anything to go by it will be a handsome car too. Test prototypes have shown that this third generation BMW Z4 will have a fabric folding roof rather than a repeat of the previous folding hardtop. Expect to see a pre-production car at the Geneva Motor Show and first deliveries to arrive in the Spring of 2019. BMW’s halo grand touring car is coming in various different form factors but the convertible is surely the most exciting. It will replace the previous 6-Series which suggests that there will be a shift up-market. Expect greater luxury, improved handling and bigger performance figures from the BMW 8-Series Convertible. BMW will be aiming at cutting into the market share of the Porsche 911 so we can expect a very capable car. Engine options will start at 6-cylinders with V8 and possibly V12 options to complete the range. There will be an M8 high-performance model but it is not yet clear if this will be available as a convertible or just the 2-door coupe. The Ferrari California has been the company’s entry-level car for quite a while and while it promised to be a fast and glamorous open-top sports car it didn’t quite convince buyers. The Ferrari Portofino aims to be the car to broaden the brand’s appeal to useable cars in addition to hard-edge supercars. It has supercar performance and looks stunning so customers need not fear the feeling that they don’t own a ‘proper’ Ferrari. While it may be easier to live with than a mid-engined car the Portofino lacks the comfort and smooth driving of more refined grand tourers. It seems that building short runs of historic models from the companies past is lucrative for Jaguar both in sales and as a marketing activity. Either way it is fantastic to see these beautiful classic cars being reproduced with such painstaking accuracy. Following on from the six Lightweight E-Type and nine XKSS cars already built will be 25 of the Jaguar D-Type. Made to the same blueprints and specifications as the cars that won at Le Mans in 1955, 1956 and 1957 the cars will not be road legal but can be enjoyed at track events. The excuse to build them was that Jaguar had intended a production run of 100 cars back in the 1950s but only made 75 so these cars complete the set. The Aventador has been with us for a while now and S specification sees a suitable step up in performance. The Lamborghini Aventador S Roadster gets 730 bhp and 509 lbft from the 6.5-litre V12 engine which translates to 0-62mph in 3 seconds and a top speed of 217mph. Handling is improved with a four-wheel-steering system and active aerodynamics increasing downforce by up to 130%. The beautiful Maserati Alfieri has been promised since the 2014 Geneva concept but the up-coming sports car will be a vital part of the Italian brand. Maserati must have a sports car and the Alfieri looks like it could be a serious competitor to the Porsche 911 and Jaguar F-Type. Don’t expect to drive it this year but we might see some pre-production cars by the end of the year. A face-lifted Mini has been revealed to go on sale in 2018. A good selection of updates include new LED light fittings front and Rear as well as improved infotainment and navigation systems. There is a new double-clutch gearbox on offer too. A compact roadster based on the gorgeous Mini Superleggera concept car was given the green light for production but little has been heard since. It is possible that the plans were halted but if not then we should be seeing it at a motor show soon. If not this year then in 2019. Toyota are planning to boost their sports car range adding to the GT86 with the Supra and possibly a smaller model along the lines of the mid-engined MR2 Roadster. Mostly speculation at the moment but there is clearly space in the market for a simple lightweight sports car whit the emphasis on agile handling rather than equipment and creature comforts. © Copyright 2018 Convertible Car Magazine. Convertible Car Article - New Convertible Cars for 2018.